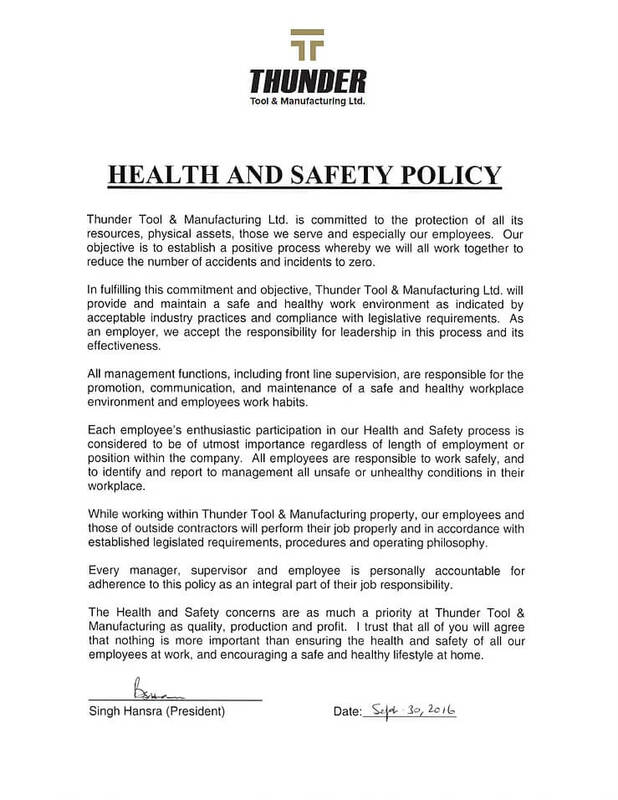 The Health and Safety of our associates is of utmost importance for the success of Thunder Tool & Manufacturing. 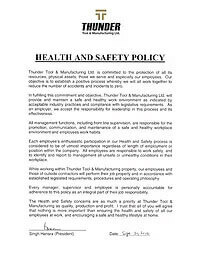 With strong emphasis on Health & Safety awareness through Training, and our Joint Health & Safety Committee, we strive for everyone to work intelligently and cooperatively to eliminate the risks and hazards that may cause injury thereby protecting the well-being of all associates while at work, and while at home. 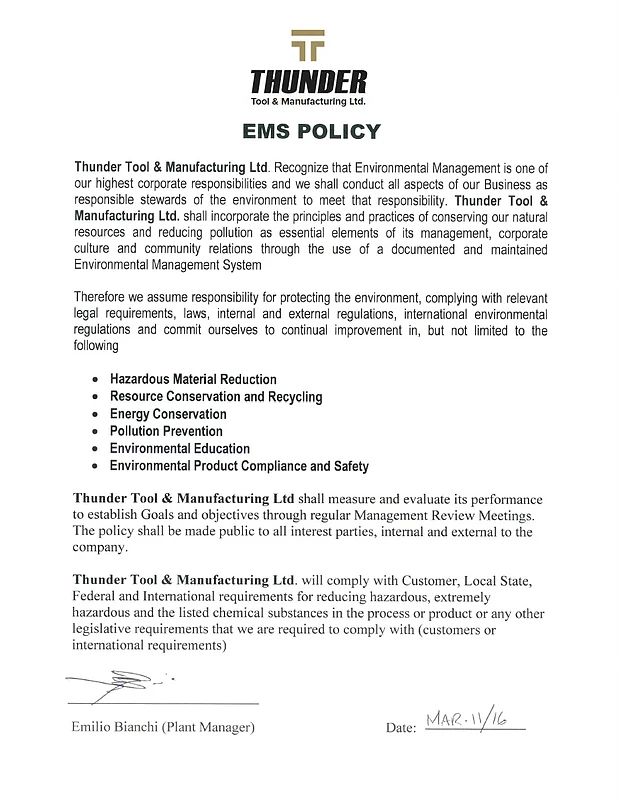 At Thunder Tool, we take our responsibility as corporate citizens seriously. All of our operations operate in compliance with all environmental legislation, and we continually strive to exceed our legal requirements and act to reduce the environmental impacts of our operations. At Thunder Tool, we care about the communities where we live and work. 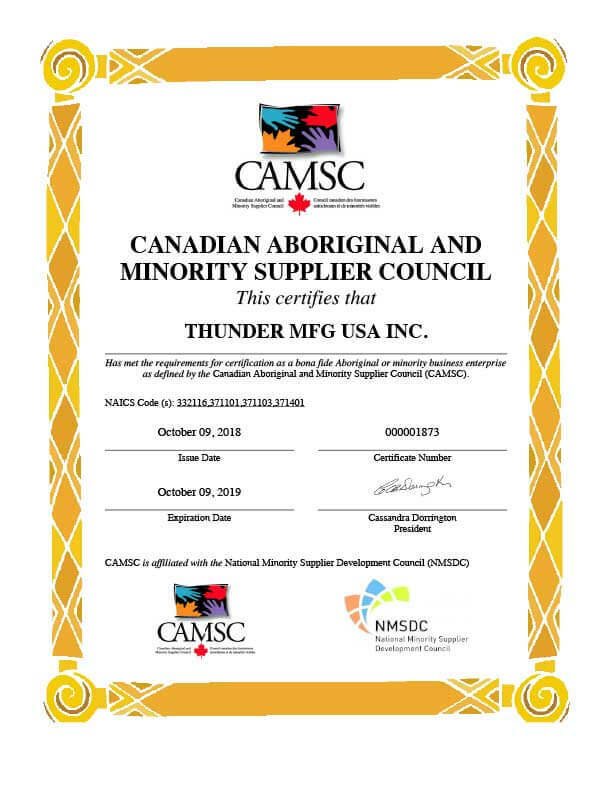 We are CAMSC Canadian Aboriginal and Minority Supplier Council certified company and work together supporting the community and employees where we work. We support the Wounded Warrior Project and the New Beginnings Family Services for the annual Superhero Ride.